A mechanic should always keep you apprised of what is happening in the shop with your vehicle via phone, text, or email, and getting consent from you for any work that going to be done. Our technicians will be in touch with you personally to make sure we are able to meet your needs and your budget with no surprises when your itemized bill arrives. When an auto shop has a menu of service packages there is a good chance that you will end up purchasing more than you actually need. It ends up being a bit like a cell phone company charging you for more minutes than you will use. At Parkside, we inspect your whole car every time you bring it in, even if you just come in for oil change, then we let you know ONLY the services that need to be done. That way we can save you money, save you time, and give you peace of mind that your car will be running smoothly when you need it. If you call your mechanic but they won’t put you on the phone with the technician working on your car it feels a bit like you are getting second hand information. 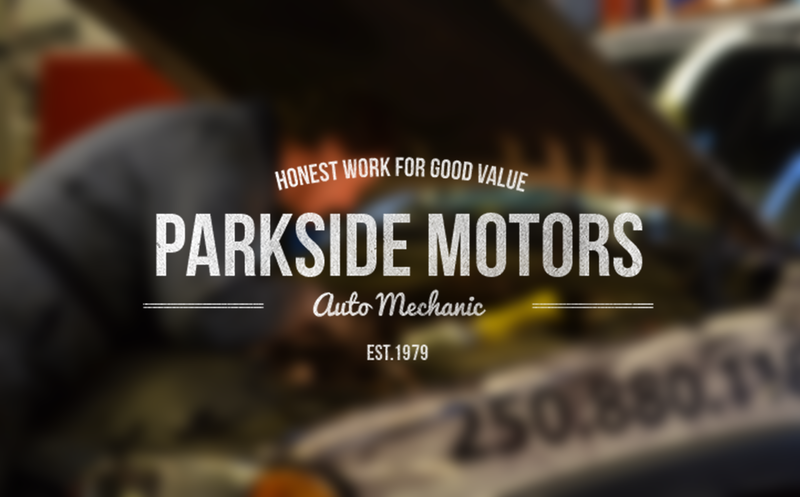 At Parkside, your questions are answered by the actual technician that is working on your car. They can explain the details behind the specific problems they have encountered and are better able to answer your inquiries with first hand information. Want to take a look? They will happily give you an up close view of exactly what they’re dealing with on your vehicle. If a shop ever expects you to approve an expensive repair without answering WHY the service is necessary and what options are available in HOW it can be repaired, you should think twice about moving forward. At Parkside we know that people are always on a budget and that repair bills can grow quickly. We provide as much information as possible as to why certain repairs are necessary, and when budget is a concern, we will give you as many options as possible for how the repair could be performed safely and effectively while giving you as much value for your dollar as possible. I’ve always dreaded paying my mechanic $100 each time my service engine lights turn on, just to get them to take a look at it. After moving to Etobicoke my new mechanic here, at Service Plus, was telling me how you can get this done for free in most auto parts stores! Really honest mechanics cant just charge you for checking just because they need to hook up the machine. Hi Laura, and thank you for your comment. You are right that $100 would be an excessive fee for this service, but we also have a recommendation for you on this topic. It is best to pay to have this service done for you by a trustworthy technician and not have it done for free at an auto parts store. The reason? If the code comes up that it is the Oxygen Sensor, an auto parts store will just sell you a new oxygen sensor, meaning that their “free” diagnostic test actually cost you an expensive part. When you pay a moderate fee to have the diagnostic test done by a trained technician, they might be able to see that the oxygen sensor warning has been caused by a simple vacuum leak. In the end, just find someone you trust who does not have an agenda to oversell you. If a service is “free” it just means they are over charging you in another area to make up the expense. Definitely agree with points 1 and 3! I think one of the worst things that ruins a mechanics rep is when he surprises the customer with a hefty bill and says that he had no choice but to do a load of extra work! If this was communicated before than it could be discussed but surprises just appear to be a con and nothing more. Nobody likes a surprise, especially an expensive one. This is one of the biggest benefits of a small shop; You get to know your mechanic and be in regular consultation through the repairs. No surprises, happy customers, everyone wins!